Property conveyancing is one of the main services that we offer. Newcomers arrive every day in our country, especially in our area. 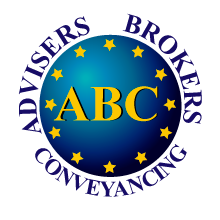 Buying a property in Spain involves a lot of paperwork that needs to be prepared and carefully checked, that is why using an English speaking Spanish solicitor is essential. From the moment you make an offer on a property to the day when you collect the keys, we take care of the whole process so that all you need to do is book your flights and start enjoying your new home straight away. Our English speaking solicitors and legal assistants will work through all the paperwork related to the transaction and they will make sure that the purchase or sale of your property is carried out according to Spanish Property Laws. Civil law advice, divorce proceedings, extinction of joint ownership.